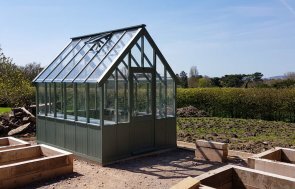 This 3.0 x 3.6m Victoria Greenhouse is the largest greenhouse size we make, and it has been installed in our customer’s garden in Aylesbury, Buckinghamshire to use to grow vegetables all through the year. 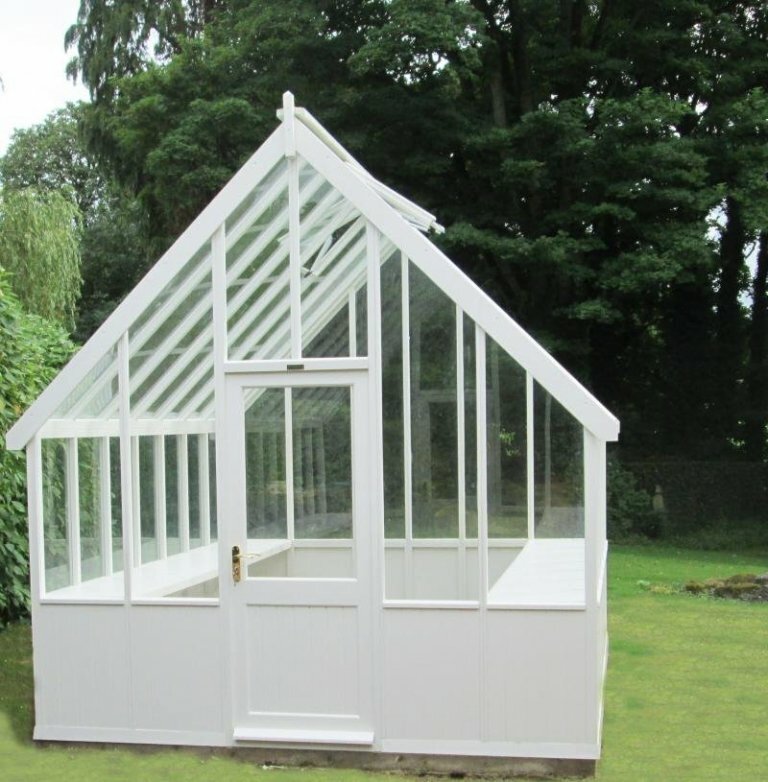 Traditionally designed, our Victoria Greenhouse will be an elegant, as well as practical, addition to your garden, with a steeply pitched, glazed apex roof, timber structure, and two automatic opening vents in the roof to help regulate the internal temperature. 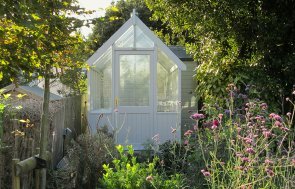 This greenhouse has been finished in Valtti Ivory paint for a light, bright appearance, and the customer chose to have two slatted benches fitted. 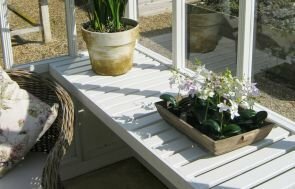 The slatted benches are an optional extra with our greenhouses, as it is completely down to how you want to use the available space as to whether you need them or not: you may need to utilise the vertical space if you’ve got tall plants or produce to grow, or you may need the raised platform of the bench for seed trays or smaller plants. For more information on our range of timber greenhouses, you can come and see an example of one yourself at any one of our Show Centres across the country, or if you can’t visit us you can always click the link below today to view all the greenhouses on offer.